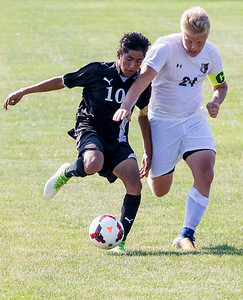 Sarah Nader - snader@shawmedia.com Harvard's Adrian Gorostieta (left) tries to keep the ball from Prairie Ridge's Lucas Rietz during the first half of Saturday's soccer match Sept. 23, 2017. Prairie Ridge won, 3-0. Sarah Nader - snader@shawmedia.com Prairie Ridge's Matthew King (left) tries to take the ball from Harvard's Brayan A. Sanchez during the first half of Saturday's soccer match Sept. 23, 2017. Prairie Ridge won, 3-0. 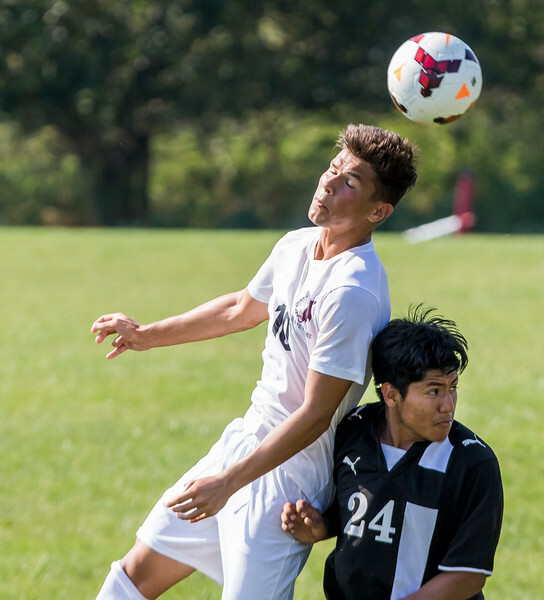 Sarah Nader - snader@shawmedia.com Prairie RIdge's Nicolas Marconi (right) kicks the ball during the second half of Saturday's soccer match against Harvard Sept. 23, 2017. Prairie Ridge won, 3-0. Sarah Nader - snader@shawmedia.com Harvard's Alexis Robles (center) dribbles towards the goal during the first half of Saturday's soccer match against Prairie Ridge Sept. 23, 2017. Prairie Ridge won, 3-0. 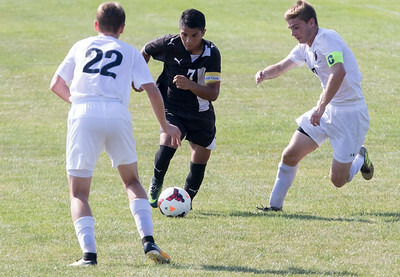 Sarah Nader - snader@shawmedia.com Prairie Ridge's Nicolas Marconi (left) and Harvard's Carlos Nova head the ball during the second half of Saturday's soccer match Sept. 23, 2017. Prairie Ridge won, 3-0. 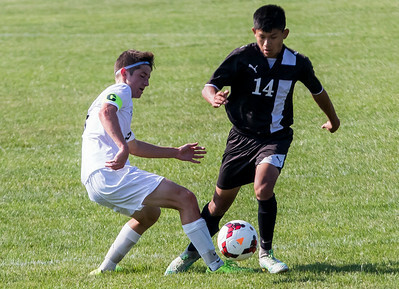 Prairie Ridge's Nicolas Marconi (left) and Harvard's Carlos Nova head the ball during the second half of Saturday's soccer match Sept. 23, 2017. 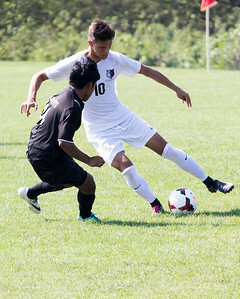 Prairie Ridge won, 3-0.